Early maps of Warwickshire, such as the sixteenth and seventeenth century ones by Saxton and Speed, are too small in scale and insufficiently accurate to tell us much about Sutton Coldfield. It is not until 1793, with the publication of William Yates’ one inch to the mile map of Warwickshire, that an accurate map at a useful scale is printed, soon superseded by Greenwood’s map surveyed in 1820-21. More comprehensive mapping was already well advanced by 1820, however. The Ordnance Survey was set up during the Napoleonic Wars as part of the War Office to make a detailed survey of the whole country, maps being a great help to military operations, especially artillery or ordnance. The first maps to be published by the Ordnance Survey were on a scale of one inch to a mile, sheet 62, Lichfield and Birmingham, being issued in 1834. The maps were constantly being revised, particular attention being paid to levelling, or determining height above sea level, in the 1840s and 1850s. Levelling used benchmarks, carved into stone or brick at a known height, the key part being a horizontal slot at the known height into which the board of the levelling device could be fitted - the bench mark could thus be used every time a new survey was made. 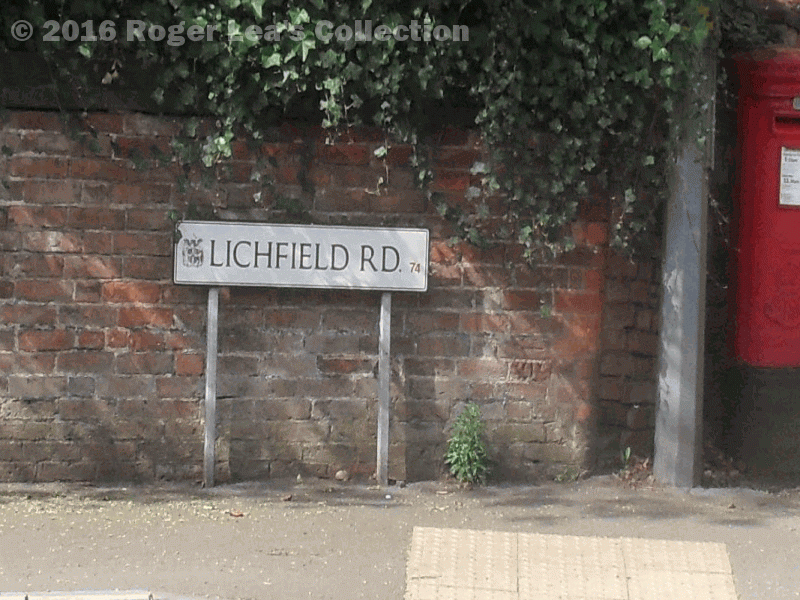 Some benchmarks are shown on the revisions of the one-inch maps made after 1860, including one at the corner of Lichfield Road and Wentworth Road. In the 1880s the Ordnance Survey published maps at larger scales of six inches to a mile and twenty-five inches to a mile, showing much more detail. Another primary levelling of the whole country was completed in 1921, when the aim was to maintain about 5 bench marks per one kilometre square in rural areas, about 30 to 40 in urban areas. The 1924 edition six-inch maps of Sutton show numerous benchmarks. On one Sutton sheet there are fourteen benchmarks, the lowest at 393 feet 3 inches above sea level, underneath the railway bridge in Tamworth Road. Lichfiled Road is higher up, 457’ 6” opposite Little Sutton Lane, then nearly level to Doe Bank, 458’3”. A benchmark is shown on the bridge above Four Oaks Station and one at the Halfway House, 474’, rising to 503’ at Mere Green; three benchmarks are shown in Belwell Lane, the one opposite Park Drive being at 570 feet above sea level. Of these, only the one at Doe Bank can still be seen today. 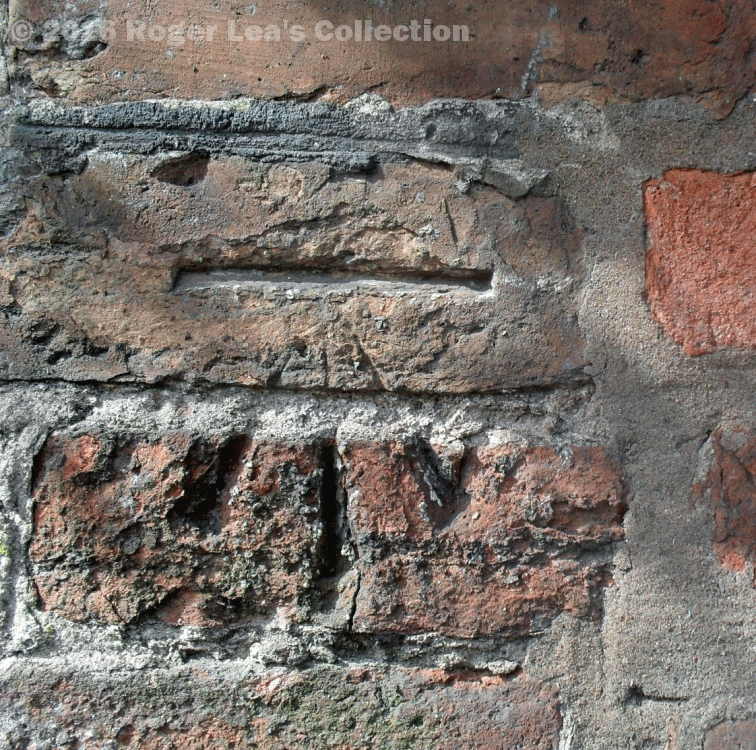 This bench mark was cut into the eighteenth century brick wall over 150 years ago. The garden wall is all that remains of Doe Bank House, on the corner of Wentworth Road. The bench mark is just above and to the right of the weed growing out of the pavement.